China Report: In our launch issue back in 2013, we reported on the popularity of Bicester Village for Chinese tourists visiting the UK. Five years on, you now have 11 Villages worldwide including two in China. What’s so special about the Village? 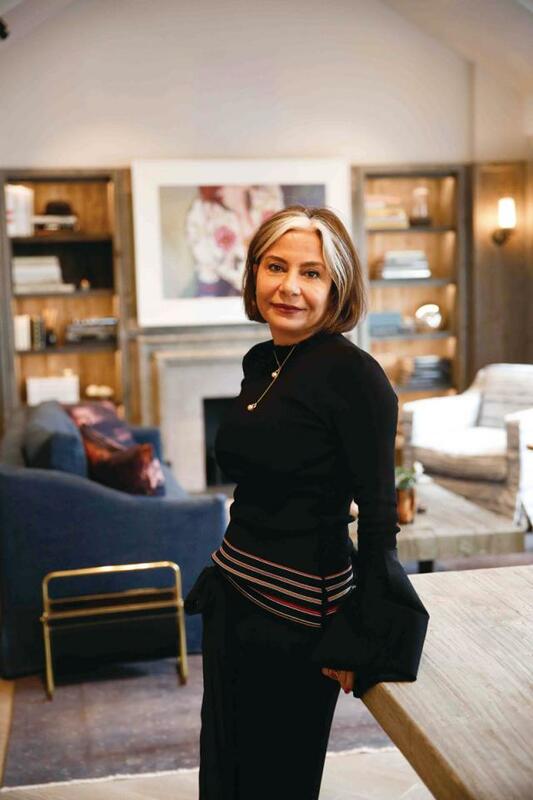 Desirée Bollier: We wanted the Villages to be a destination, nearby a tourism hub or a major capital city, that would attract sophisticated travellers from around the world. That consistency of strategic decisions has allowed us to build brick-by-brick, model-by-model, our vision of what it is today. And [after] 22 years in the making, we are finally launching the Bicester Village Shopping Collection. Bicester Village represents worldwide, hands down, from every criterion and every benchmark – be it Real Estate or guest experience, or financial return from investors and guests – a recognisable brand destination in its own right. Having the Bicester Village Shopping Collection was pretty much a logical step in the maturity of our business. It’s similar to the Dorchester Collection concept. You go to Beverly Hills and the Beverly Hills Hotel has its own personality, but as a traveller, you know that the Beverly Hills Hotel is going to give you that superb experience because it is a part of the Dorchester Collection. Our traveller, our guest, doesn’t even realise that La Vallée in France or Las Rozas in Spain are all the same family and the Bicester Village Shopping Collection is going to help accelerate that recognition and that stamp of excellence, authenticity and delivery. Ours has been a journey of building something quite unique, where a combination of skills allowed us to look at our Villages not as simple assets but creating true destinations where we agonised over detail from the moment we identified a location. The strategic thinking behind it was coherent, strategic across the last 22 years. CR: Are you unifying the brand and creating a consistent thread throughout all Villages? 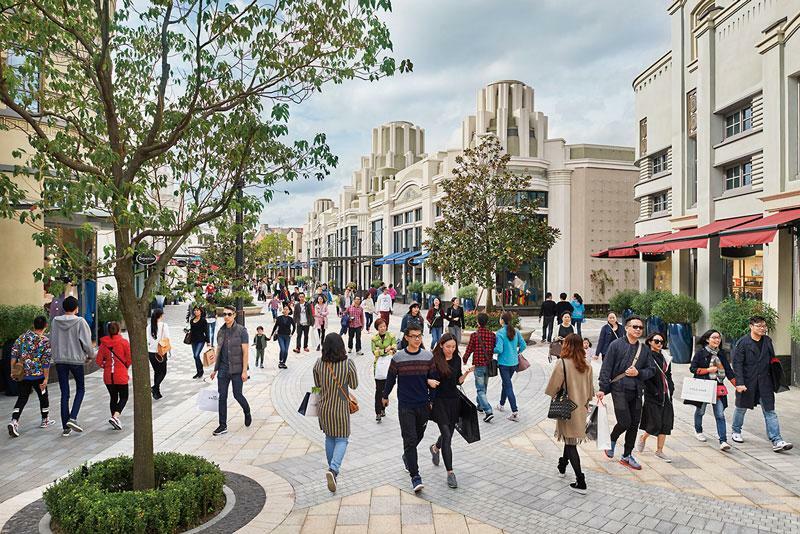 DB: Absolutely, La Vallée is going to be a member of the Bicester Village Shopping Collection in the same way that our Shanghai Village will be a member too. So, in China, if you know of Bicester Village, you would know by association what you are about to experience. And once you get to the Village, you would immediately recognise the valet parking, the hands-free shopping, the hospitality, and the layer of sophistication that is offered at Bicester. CR: So Bicester Village has become the reference point. How are you going to communicate the group’s rebranding to your customer base? DB: We started a soft launch internally through town hall meetings, brand books and internal rebranding exercises. Externally, the big launch will take place on April 19, a major celebration across all 11 Villages. Every Village will be hosting a mini-launch, along with a larger official event in Shanghai where we haven’t done a big celebration of its opening. This will be a good opportunity to do a grand opening and launch the Bicester Village Shopping Collection. Coincidentally, I will be in Buenos Aires at the World Travel and Trade Council (WTTC) conference (as an Executive Committe member of the WTTC) at that time and will be making an announcement from there. CR: With nine Villages across Europe and two in China, how do you ensure that the Villages are kept relevant to each different country and adapted to the local culture? DB: We look at consumer behaviour and what is the commonality of it across different regions. We focus on what really needs to be curated, customised, broken down into a point of generating emotions in you. Consumers are looking for instant gratification of all sorts. In our everyday life on a slide of a finger you get a Didi, or an Uber to your front door, or a coffee... Instant gratification has become a commodity in our everyday life. It’s a given and with that comes a host of problems, and opportunities at the same time. When your day-to-day is so easily commoditised, frictions become very intolerant. You don’t want your leisure time to have any friction, you want it to be frictionless, so your demands for services, your demands on entertainment, on happiness are different today; your requirements are different. We, as a business, have to be attuned to that, what does it mean in China, what does it mean in Europe? CR: Where would the Chinese consumer fit in that spectrum? DB: First of all, the Chinese are extremely digitally connected. WeChat today is the [major] form of communication, it is not a social platform, it has become the widest communication platform of any kind. We see that reflected in our business, we have instant feedback from our guests. They love it, they don’t love it. They want it, they don’t want it. And we engage with them. Constantly on WeChat, that personalised engagement has allowed us to link to that guest. Secondly, paying through your phone is a normal thing for a Chinese customer. Nobody carries money, to an extent that people are starting to forget what hard cash looks like! Europe is far behind; the millennials are starting to really push for it but there is a gap of a decade between what’s happening in China and what’s happening in Europe. We live in interesting times, we are right in the middle of wanting all our brands to accept Alipay across our European Villages too. The speed of application adoption rate in China is something that you don’t see happening in Europe. CR: It was different from when you accepted China Union Pay, wasn’t it? DB: China Union Pay was the first step. Now it’s Alipay, but not just Alipay, it should be Apple Pay, it should be Google Pay, it should be virtual pay. That’s where the world is going, that’s what millennials want. The adoption rate of China is so rapid, so fast, so fascinating. Our European business is benefiting immensely from our Chinese business because we are learning so much and bringing this back to Europe. We are really pushing our teams to think China speed. China speed is fascinating to me, it’s not about why, it’s about why not, and the adoption is two weeks, not two years. That’s the difference! CR: In the late 1980s, people in China spoke about Shenzhen speed. Now you have China speed. DB: We are a company that really pushes for innovation as a mind-set in our organisation. It is crucial for any business to constantly look at itself and question, “Am I best equipped to be facing today’s reality, today’s challenges?” I am going back to school for the second term of my Owner President Management course at Harvard Business School and I am reading Jack Welch’s case study on General Electric. What Jack Welch has managed to do is to take the business of GE and transform it three, four, five times, to evolve it, and realising five years into it that there was something going on. Observing macro-economic trends, observing your environment, observing the tsunami of change, observing the digital and customer behaviour. Taking all of this and embracing that innovation, not being afraid of it, is what has helped our organisation continue to think about itself differently. Being guest-centric is not something new to us; It’s an obsession of ours. It took different shapes, different formats over time. But we had “her” and “him” at the top of our mind in every decision along the way. And that has helped us think about touch points, the journey… do we need to add valet parking? No one really has patience to park their car. Do you need to add hands-free shopping? If you are buying digital, online, you are not carrying bags around. So, you add valet parking, you add hands-free shopping, services that give that instant gratification. You want to be able to take that suit home two hours later when you finish your shopping. Tailoring becomes a big part of the overall experience. Those layers of what I call frictionless shopping add to your experience, add to you feeling special about your day. These are important steps that retailers need to be taking, otherwise you shop online! CR: How are you facing the reality of online shopping and so many brands, some of them brands that you work with, and closing down of shops on the high street? DB: It is not worth fighting something that is here to stay. We need to understand the trend, understanding what the customer is looking for and trying to anticipate that in a brick and mortar environment. I look at Selfridges [department store] as an example of a brilliant job well done. Being threatened by digital is not where the sentiment should be. The sentiment should be on what the customer wants today, what I can give her or him to complement their digital shopping. CR: You have drawn quite a lot of inspiration from your ventures in China. Any particular challenges? DB: We were not the first. We brought our product into a country that did not know that an outlet could be positioned in such a pleasant way. We kind of shifted the paradigm of perception. Expanding into China was no more difficult than any of the other countries where we opened. In La Vallée when we opened our door, everybody thought it was going to be an utter failure. Why? It was on the east side of Paris, next to Disney, an arm’s length from a shopping centre. Every single one of the Villages had a challenge. And most importantly it was an outlet. How can it be luxury and be an outlet? We are not an outlet, we are a destination. Having that consistency of vision where we are creating a day out where the environment, the curation, the brand mix, the hospitality, the food… We are creating a safe heaven, stress-free experience for women, families and their friends to come and spend the day. This has allowed La Vallée and the eight other Villages in Europe to become a success. If we made lots of promises but then failed on delivery of our boutiques’ environment, we wouldn’t be here today. So, to answer your question, the difficulties in China were as equal as the ones we faced in every single one of our Villages. There were difficulties of perception “why are you different,” convincing the brands... it was actually less difficult in China than in Europe because we benefited from 16 years of building partnerships with the brands, so the acceleration of the brand mix of Suzhou [Jiangsu Province] was staggering compared to anything we’ve ever done in Europe. CR: You started a Village three or four years ago in Suzhou, and then you decided to open another one a short drive away in Shanghai. Many people in China and elsewhere are still wondering, what is going on here? Do you regret it? DB: Not at all, not at all! Strategically it made a lot of sense and today, it is making a lot of sense. Suzhou is a resort experience. Five years ago when we decided to go there, the entire peninsula was developing to what would become a weekenders’ get away. When we built Suzhou three years ago, we acquired the land five years ago and opened two years later, you had one hotel. If you go today, you have the Four Seasons, the Fairmont, the W, when we built the Village there were no mixed-use developments. You go today, there are amazing villas for a few millions [of yuan] to be sold. And the reason to go to Suzhou is fundamentally different from Shanghai. The Chinese didn’t even have a concept of having a weekend home five years ago. Today it is OK to have a weekend home and we see the high net worth families coming to shop at Suzhou. The behaviour of the Chinese has gentrified into what I call the weekenders. And the sophistication of a day out, and a weekend in the peninsula is amazing. The restaurants, the spa, the entertainment, all of that didn’t exist five years ago. That’s China speed for you. And the catchment of that entire area is a super wealthy one. It would take people three hours to come to the Shanghai Village; who has three hours? The numbers spoke for themselves. From a mathematical, catchment, high net worth client perspective, the resort made sense. Shanghai is a completely different story. The halo of Disney, the ambition of Disney and the whole developments to become an international destination for the South East Asian tourist created a very different opportunity. And that’s what we’re seeing, different catchment, different high net worth, different behaviour. CR: Are you picking up some Chinese along the way? DB: I go to China once a month and I wish I did! It’s such a fascinating language to me, all in the tonalities. A complex, very complex language. CR: What is your take on the Chinese economy as a whole? DB: Compared to the rest of the world? Very solid, because even at six percent growth, it is growth. Compared to Europe, compared to South America or even compared to the [United] States which could probably claim three percent growth, if we could claim six percent in China, as a global economy… pas mal! (not bad!). CR: That would create more room for more Villages! DB: The East is growing at an increasing rate and it’s pulling the planet together.